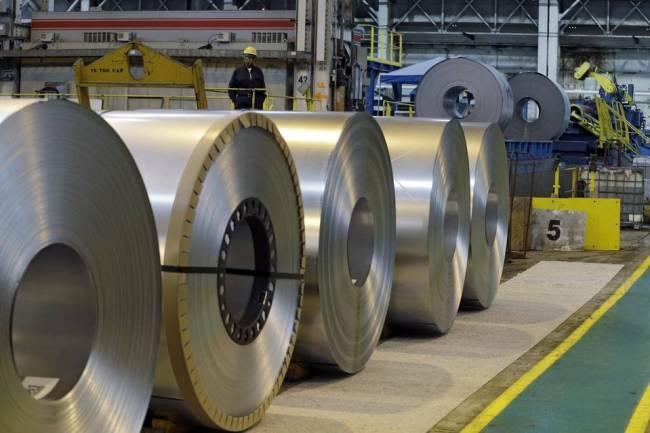 US restrictions on imports of South Korean steel, washing machines and solar cells are expected to cost Asia's fourth-largest economy more than $2.4 billion in lost exports over the coming years, a parliamentary report said Thursday. The Donald Trump administration's import restrictions on the three products could make South Korea suffer an export loss of $2.47 billion over the next few years, according to the report by the National Assembly Budget Office. The regulations are also feared to result in a potential loss of nearly 16,000 jobs in the three industrial sectors, it estimated. The report used the mean exports of the previous five years and the average won-dollar rate of 1,072 won during the first five months of the year for its calculation of the loss estimate. America has set its import quota for South Korean steel at 70 percent of South Korea's average exports from 2015-17. Washington has also decided to impose tariff quotas on South Korean washers for the next three years. In January this year, the US said it will slap more tariffs on South Korean solar cells. The report estimated the US import quota would lead to lost exports worth $1.24 billion over the next five years and a possible loss of more than 6,500 new jobs.